Russell Thaw (1910-1984) has one of the most interesting backgrounds of any American aviator and test pilot, outside of, perhaps, Grumman's Roger Wolfe Kahn. For the uninitiated, see the woman photographed bellow? You may recognize her face, or even this photo. 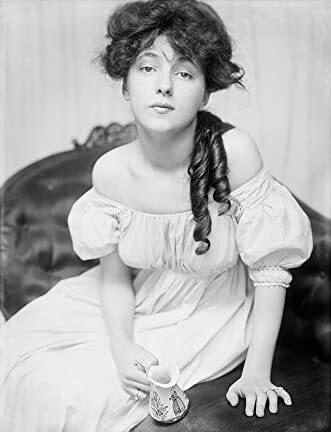 This is Evelyn Nesbit. One of the most famous "femme fatales" of the early-20th Century. She was portrayed by Joan Collins in "The Girl in the Red Velvet Swing" (1955). 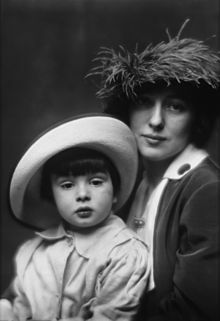 Florence Evelyn Nesbit (December 25, 1884 or 1885 – January 17, 1967), known professionally as Evelyn Nesbit, was an American artists' model, chorus girl, and actress. In the early part of the 20th century, Nesbit's figure and face appeared frequently in mass circulation newspapers and magazine advertisements, on souvenir items, and in calendars, making her a celebrity. Her career began in her early teens in Philadelphia and continued in New York, where she posed for a cadre of respected artists of the era, including James Carroll Beckwith, Frederick S. Church, and notably Charles Dana Gibson, who idealized her as a "Gibson Girl". She had the distinction of being an early fashion and artists' model in an era when both fashion photography (as an advertising medium) and the pin-up (as an art genre) were just beginning their ascendancy. Nesbit received further worldwide attention when her husband, the mentally unstable multimillionaire Harry Kendall Thaw, shot and killed the prominent architect and New York socialite Stanford White in front of hundreds of witnesses at the rooftop theatre of Madison Square Garden on the evening of June 25, 1906, leading to what the press would call the "Trial of the Century". During the trial, Nesbit testified that five years earlier, when she was a stage performer at the age of 15 or 16, she had attracted the attention of White, who first gained her and her mother's trust, then sexually assaulted her while she was unconscious, and then had a subsequent romantic and sexual relationship with her that continued for some period of time. She was also Russell Thaw's mother. In fact, Russell Thaw would even go on to appear in a number of films with his mother. Unfortunately, all have been lost to time and the deterioration of nitrate film stock. Here is a 1913 portrait of Russell and his mother, taken by famed German-born American photographer, Arnold Genthe. 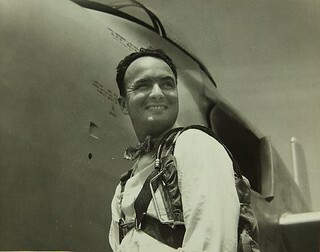 As an adult, he'd go on to be a pilot for the Guggenheim family and an aviator of renown in his own right.